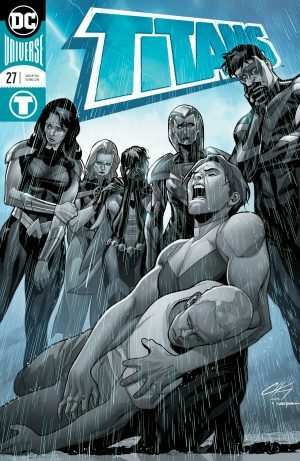 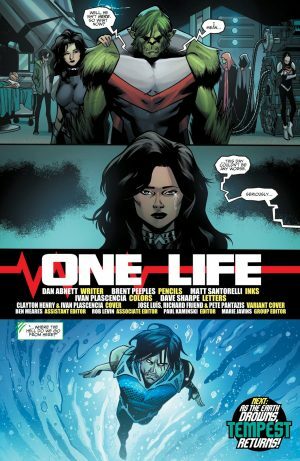 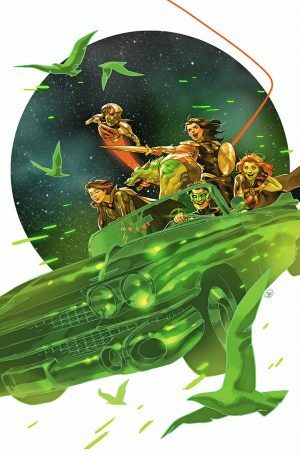 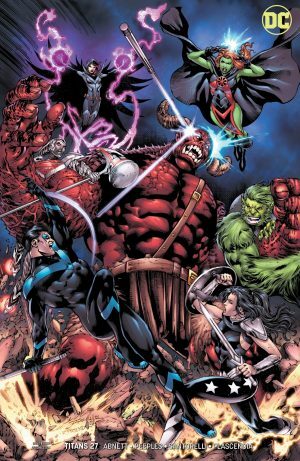 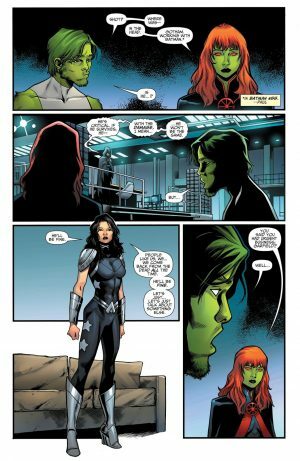 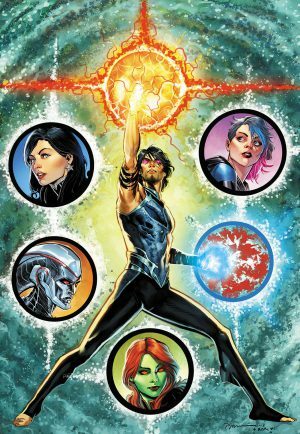 DC Comics Universe and Titans #27 Spoilers follows. 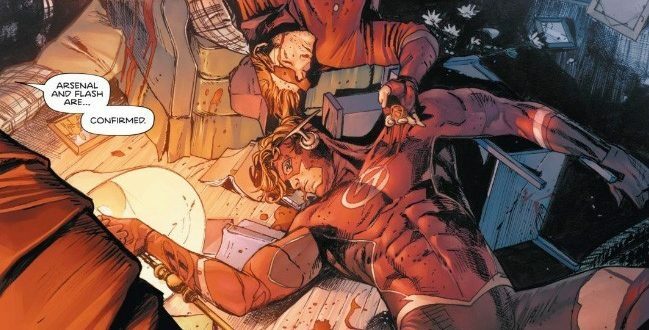 A Somber Heroes In Crisis #1 Fallout Issue As Team Mourns Arsenal, But Not Wally West The Flash? Plus Team Copes With Nightwing Being Shot In Batman #55 / Nightwing #50! 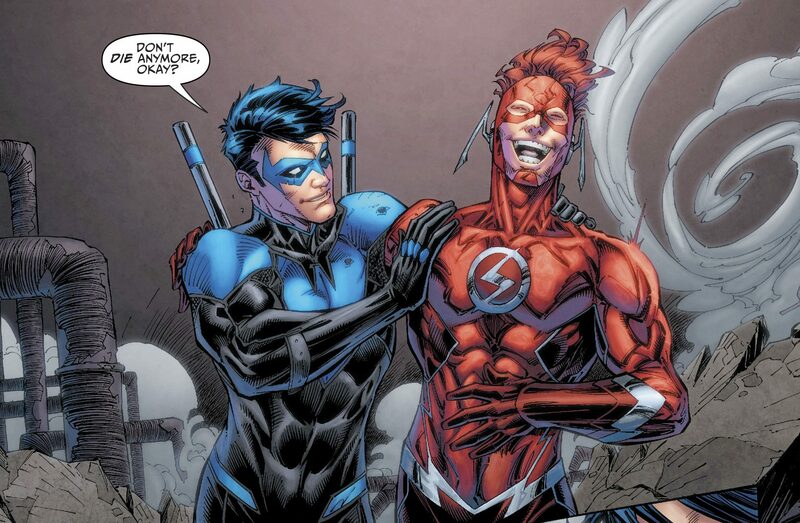 …that’s really it for him in the book. 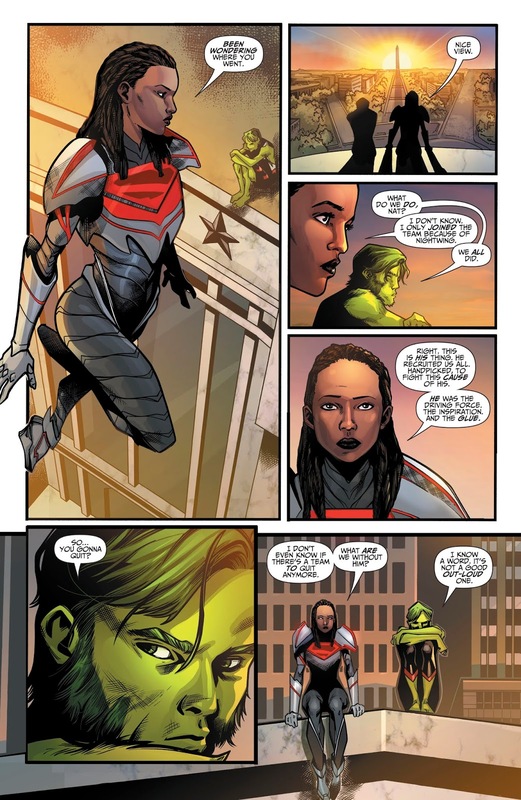 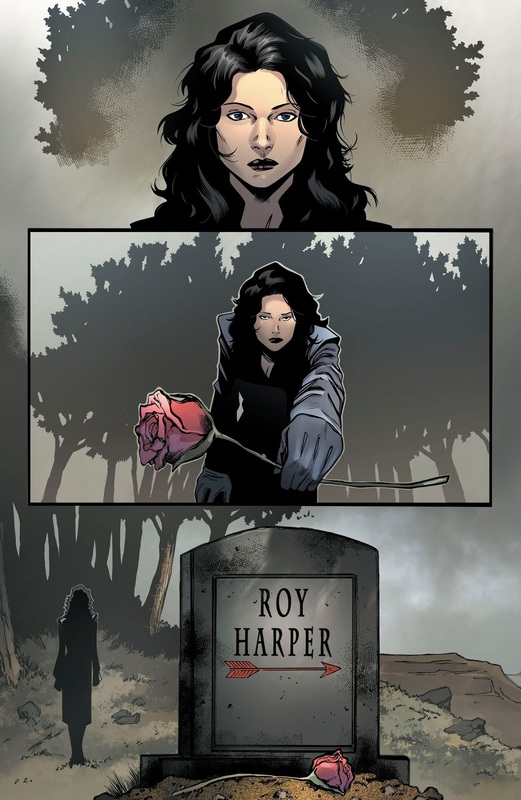 The real mourning for happened in the pages of Green Arrow #45 and in Red Hood Outlaw #27 (full spoilers here). 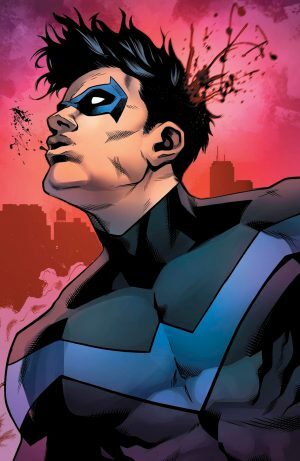 …and assuming he won’t be back on the Titans due to brain damage. 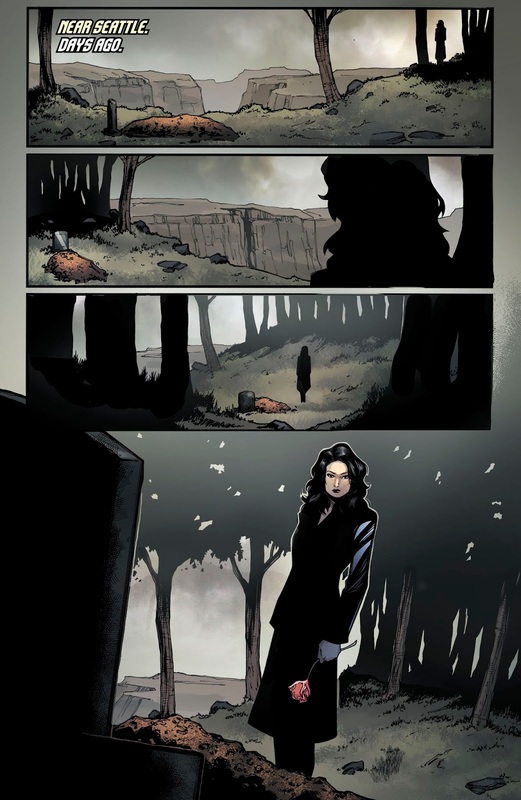 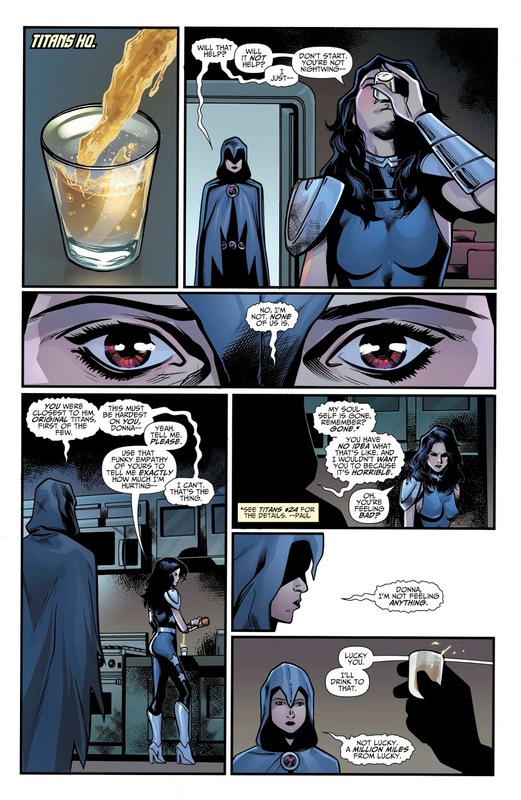 Although, Nightwing’s new status quo was revealed in Nightwing #50 (full spoilers here). There’s no real mourning for Wally West the Flash who also seemingly died in Heroes in Crisis #1 (full spoilers here), but it is possible that he is still alive (spoilers here). Barry Allen the Flash believes Wally is dead and this will play out in January 2019 (spoilers here). Anyhow, back to Titans #27. 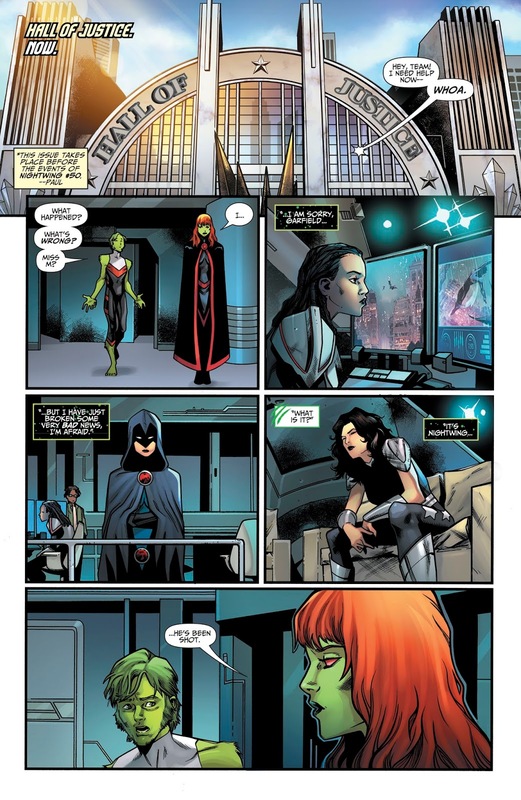 Donna Troy has the say view as Jason Todd that death is just a revolving door for the Titans and other heroes. Raven tries to mourn, but she can’t because her soul self is gone. 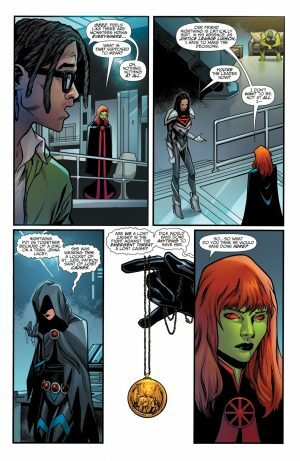 …while Miss Martian takes on leadership of what’s left of the Titans since she’s the Justice League liaison. …after that it appears Kyle Rayner Green Lantern will join the team.